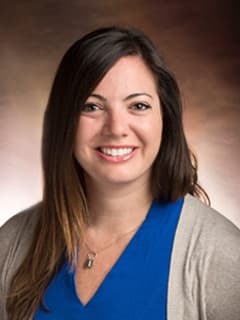 Billie Samantha Schwartz, PhD, is a Psychologist in the Department of Child and Adolescent Psychiatry and Behavioral Sciences at Children's Hospital of Philadelphia. Nicolas, G., & Schwartz, B. (2012). Culture first: lessons learned in culturally adapting treatment for Black Caribbean youth (pp. 71-90). In Bernal, G. & Domenech Rodríguez, M.M. (Eds.) Cultural Adaptations: Tools for Evidence-Based Practice with Diverse Populations. Washington DC: APA Press. Nicolas, G., Schwartz, B., & Pierre, E. (2010). Weathering the storms like bamboo: The strengths of Haitians in coping with natural disasters. (pp. 93-106) In Eugene, D., Kalayjian, A., & Reyes, G. (Eds.) Cross-Cultural Handbook of Emotional Healing: Rituals and Practices for Resilience After Trauma, 2 volumes. Westport, CT: Praeger/ABC-CLIO, Santa Barbara, CA. Schwartz, B.S., Khanna, M., Cacia, J., Bressler, S., Kanine, R., Swift, L., Orapallo, A., & Eiraldi, R.E. A hybrid implementation-effectiveness trial of group CBT for anxiety in urban schools – training the workforce in community settings. (Poster presented at the National Academies of Science, Engineering, and Medicine Forum: Training the Future Healthcare Workforce to Improve Behavioral Health Outcomes for Children, Youth, and Families, Washington, DC, November 29, 2016). Mautone, J.A., Schwartz, B.S., Njoroge, W., Berkowitz, S., Robins, P., & Power, T.J. Interprofessional training in integrated behavioral health in urban pediatric primary care (Poster presented at the National Academies of Science, Engineering, and Medicine Forum: Training the Future Healthcare Workforce to Improve Behavioral Health Outcomes for Children, Youth, and Families, Washington, DC, November 29, 2016). Mautone, J.A., Schwartz, B.S., McCurdy, B., Orapallo, A., Cabello, B., Khanna, M., & Eiraldi, R.B. Implementation of evidence-based practices in urban schools: Project ACCESS (Poster presented at the National Academies of Science, Engineering, and Medicine Forum: Training the Future Healthcare Workforce to Improve Behavioral Health Outcomes for Children, Youth, and Families, Washington, DC, November 29, 2016). Schwartz, B.A., Swift, L., Kanine, R.M., Khanna, M., & Eiraldi, R.B. Considerations for the Train-the-Trainer models of CBT treatments for anxiety in urban youth. (Poster presented at the Association for Behavioral and Cognitive Therapies (ABCT) 50th Annual Convention, October 28, 2016). Schwartz, B.S. “An ethnographic study of implementation of evidence-based treatments in child mental health: first steps.” (Presentation and article discussion for the School Mental Health Journal Club at CHOP, April, 2016). Schwartz, B., Khanna, M., Keiffer, J., Jawad, A., Mautone, J., & Eiraldi R. Evaluation of training methods for implementation of evidence-based practice in urban schools. (Poster presentation presented at the 2016 Anxiety and Depression Association of America Annual Conference, Philadelphia, PA, April 1, 2016). Eiraldi, R., Schwartz, B., Keiffer, J., Khanna, M., McCurdy, B., Power, T., Mautone, J., Abraham, M., & Jawad, A. Variations in fidelity of group CBT by type of support for interventions. (Poster presented at the 13th International Conference on Positive Behavior Support, San Francisco, CA, March 24, 2016). Eiraldi, R., McCurdy, B., Schwartz, B., Khanna, M., Cacia, J., Power, T., Jawad, A., & Mautone, J. Implementation of SWPBIS with Mental Health Supports in Urban Schools. (Presentation at the 13th International Conference on Positive Behavior Support, San Francisco, CA, March 25, 2016). Eiraldi, R., McCurdy, B., Schwartz, B., & Keiffer, J. Examining effectiveness of SWPBIS with mental health supports in urban schools. (Poster presented at the 8th Annual Conference on Science of Dissemination and Implementation, Washington DC., December 2015). Schwartz, B.S. “Implementation of evidence-based interventions in schools: Issues and challenges in social-emotional learning and mental health problems.” (Presentation and article discussion for the School Mental Health Journal Club at CHOP, August, 2015). Schwartz, B.S. “Effects of workshop trainings on evidence-based practice knowledge and attitudes among youth community mental health providers.” (Presentation and article discussion for the School Mental Health Journal Club at CHOP, May 2015). Schwartz, B.S. Adapting Evidence-Based Treatment for Implementation in Urban Schools. (Poster presented at 2015 LEND Research Day, May 2015). Schwartz, B.S. Perceived discrimination, ethnic identity development and well-being in children: an exploration study. (Poster presented at the 2015 Society for Research in Child Development Biennial Conference, March 2015). Schwartz, B.S. Adapting Evidence-Based Treatment for Implementation in Urban Schools. (Poster presented at the 2015 Research, Policy, and Practice Conference for the School District of Philadelphia, March 2015). Mautone, J.A., McCurdy, B., Khanna, M., Schwartz, B.S., Ritvalsky, K., & Eiraldi, R.B. : Implementation of evidence-based practices in urban schools: Project ACCESS (Poster presented at the Annual Meeting of the National Association of School Psychologists, Orlando, FL, February, 2015). Schwartz, B.S. “Bridging the Gap Between Prevention Research and Practice: The Interactive Systems Framework for Dissemination and Implementation.” (Presentation and article discussion for the School Mental Health Journal Club at CHOP, January, 2015).